Muslim gay filmmaker Parvez Sharma risks personal safety to tell the stories of queer muslims all over the world. In a time when Islam is under tremendous attack from within and without, "A Jihad for Love" is a daring documentary filmed in twelve countries and nine languages. Muslim gay filmmaker Parvez Sharma has gone where the silence is loudest, filming with great risk in nations where government permission to make this film was not an option. "A Jihad for Love" is Mr. Sharma’s debut and is the world’s first feature documentary to explore the complex global intersections between Islam and homosexuality. Parvez enters the many worlds of Islam by illuminating multiple stories as diverse as Islam itself. The film travels a wide geographic arc presenting us lives from India, Pakistan, Iran, Turkey, Egypt, South Africa and France. Always filming in secret and as a Muslim, Parvez makes the film from within the faith, depicting Islam with the same respect that the film's characters show for it. 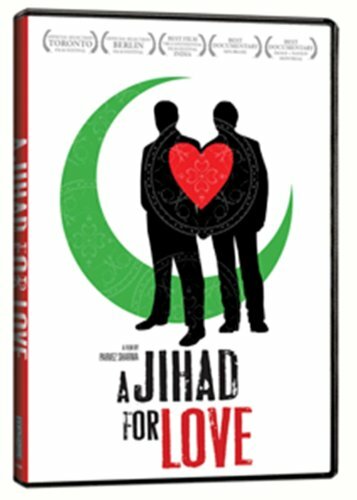 "A Jihad for Love" is produced by Sandi DuBowski (Director/Producer of the award-winning "Trembling Before G-d") and Parvez Sharma in association with ZDF-Arte, Channel 4, LOGO, SBS-Australia, The Sundance Documentary Fund and The Katahdin Foundation. In Western media, the concept of ‘jihad’ is often narrowly equated with holy war. But Jihad also has a deeper meaning, its literal Arabic being ‘struggle’ or ‘to strive in the path of God’. In this film we meet several characters engaged in their personal Jihad’s for love. The people in this film have a lot to teach us about love. Their pursuit of love has brought them into conflicts with their countries, families, and even themselves. Such is the quandary of being both homosexual and Muslim, a combination so taboo that very little about it has been documented. As a result, the majority of gay and lesbian Muslims must travel a twisting, lonely and often dangerous road. The majority of Muslims believe that homosexuality is forbidden by the Qur’an and many scholars quote Hadith (sayings attributed to the Prophet Muhammad, peace be upon him) to directly condemn homosexuality. Islam, already the second largest religion in the world is also the fastest growing. 50 nations have a Muslim majority. In a few of those nations laws interpreted from alleged Qur’anic prohibitions of male homosexuality (lesbianism is allegedly absent from the Qur’an) are enforced by religious, tribal or military authorities to monitor, entrap, imprison, torture and even execute homosexuals. Even for those who migrate to Europe or North America and adopt Western personae of "gay" or "queer," the relative freedoms of new homelands are mitigated by persistent racial profiling and intensified state surveillance after the attacks of 9/11 and train bombings in Madrid and London. As a result, many gay and lesbian Muslims end up renouncing their religion completely. But the real-life characters of A "Jihad for Love" aren't willing to abandon a faith they cherish and that sustains them. Instead, they struggle to reconcile their ardent belief with the innate reality of their being.